Trees are a very important part of any property. They can transform a yard from a bare lot to a scenic landscape. Your trees are Treemendous Tree Care’s number one concern. We take pride in our work, providing excellent tree care and advice to all our clients. We know that you care about the upkeep of your property. That’s why we strive to preserve your landscape – so you don’t have to worry about the health and look of your trees. Many trees are damaged or diseased without the property owner’s knowledge. Maybe you’ve looked out at your yard and thought, why won’t that tree ever grow? At Treemendous Tree Care, we supply you with excellent analysis on the health / status of your trees and help with any questions you may have. At Treemendous Tree Care, we understand that tree removal is a hard decision for our Kennett Square clients. That’s why we provide you with all the information you need to make decisions about your property. As a locally owned business, we care about our local environment and make sure to use sustainable practices. Our arborists do all they can to preserve the trees on your land. If tree removal does become necessary, we take out your trees in the safest and most efficient manner possible. 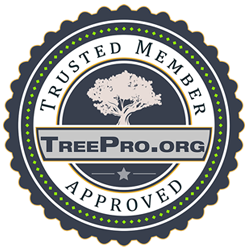 What Makes Treemendous Tree Care So Great? Comprehensive services including tree consulting, trimming, stump grinding, stump removal, and tree planting. We use only licensed, insured and bonded Kennett Square tree removal professionals. Our tree care professionals are available 24/7 in case of emergency. Our ISA-certified arborists are Tree/plant health care professionals. We use the latest equipment and cutting edge tree care technology. The East Coast is frequently hit with storms from heavy winds & rain to hurricanes. There are times when the trees on your property are damaged from a storm and you need immediate assistance. Waiting when your tree has been damaged by a storm can be very dangerous and can lead to worse problems in the future. When you are faced with a situation that is potentially dangerous to your well being, you cannot afford to wait until ‘business’ hours, you need help right away. At Treemendous Tree Care, we have you covered no matter what time of the day or night. Our crews are standing by and ready to assist Kennett Square property owners when the storms come to ensure that the damage to your property is minimized. In addition to dealing with emergency tree removal services, our arborists also specialize in plant health care and sustainability planning to keep your trees/plants healthy and your landscape beautiful. Plant health care involves fostering a self-sustained eco-system where every plant contributes to the overall health of the property. This creates maximum synergy throughout all the plants and trees to ensure that they grow up healthy, not only maintaining the beauty of the landscape, but the overall environment as well. Whether you have an emergency situation necessitating tree removal or you’re interested in services to keep your trees healthy, we can help! Call the experts at Treemendous Tree Care today at (610) 624-6390 for your complimentary no obligation assessment. We will examine your property and help you decide the best way forward to keep your family safe and maintain the beauty of your home. If you are a homeowner in Kennett Square, call us now for the best service in your area. Do you want the exterior of your home to look great at all times? Well trust Treemendous Tree Care with all your tree and shrub care to achieve the appearance of a neat, orderly home that is unique to your style and desired look. To achieve this desired appearance regular maintenance of your trees and shrubbery is required. Treemendous Tree Care Inc. is the number one tree care company in Kennett Square to provide you with any kind of needs that you may have when addressing the exterior landscaped of your property. We specialize in providing you with the tree services you want at affordable rates that are much better than the competition. When you are in need of a great tree service in Kennett Square that provides superior trimming, pruning, and removal services, look no further than Treemendous Tree Care.